Microblading is a form of permanent makeup for eyebrows. 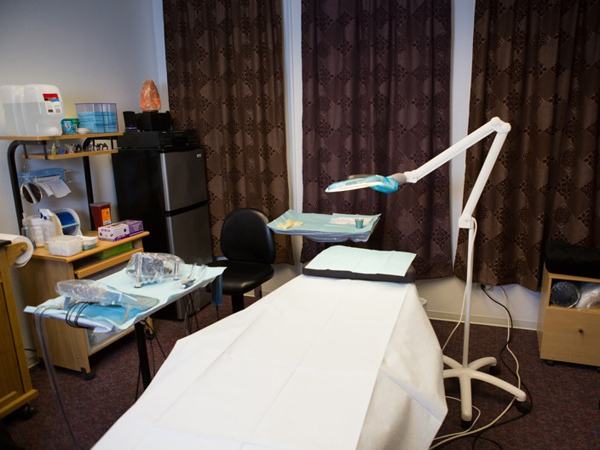 It is also called 3-D Eyebrows, Feathering, Eyebrow Embroidery, Microstroking, Feather Touch, and Hair Stroke. The technique originated in Asia in the 1990’s, then moved to Europe and recently the United States. Microblading is a manual method that uses a hand-held tool to deposit pigment into the skin. The tool is a group of in-line needles attached to a handle. Some artists claim that microblading is “semi-permanent” because it does not last as long. They say the reason is that pigment is implanted in the Epidermis (outer layer) of the skin. That is false! ALL forms of tattooing require the pigment to be placed in the Dermis (middle layer) of the skin to prevent being washed off. Anything in the epidermis will disappear during the healing process and be gone within a few weeks! With microblading it is true that color needs refreshing more often because the fine hair lines contain very little pigment. Since less color is deposited in the skin, it will be metabolized by the body and fade more rapidly. Is it a Cutting Process? Yes. Artists describe it as “gliding” through the skin, but it is more like “ripping” and creates a sound similar to pieces of Velcro being pulled apart. It can also be more painful than other methods of tattooing permanent eyebrows. 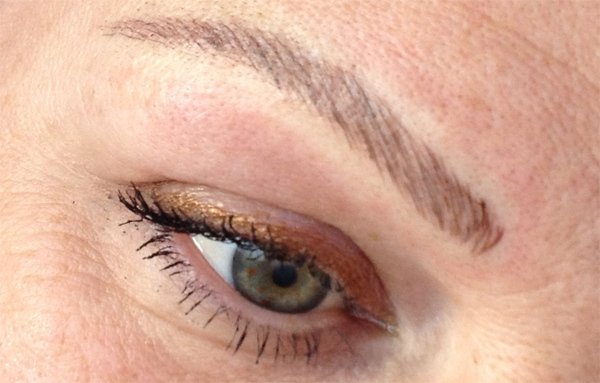 Microblading an eyebrow requires many surface cuts in the skin to resemble hairs. Because the amount of pigment that enters the skin is so small, the microbladed brows must be refreshed every 3, 6, 9, or 12 months depending on the client. Experienced professionals in this field are asking, “How many times can you have microbladed eyebrows done without scarring the skin?” The answer will vary for different skin types, ages, etc. but we will only know over time. Is Microblading the Only Way to Create 3-D Eyebrows? No! The microblading hand method AND different machine methods can create simulated hair strokes to “mimic” real hair and create a 3-dimensional natural looking eyebrow. Consumers need to know that most microblading photos on websites and social media sites show “Immediately After” eyebrows with crisp lines. However, ALL tattooed hair strokes—whether done manually or by machine—will blur and soften once the skin heals and regenerates over the top of the line. The line of pigment will be seen through the person’s skin which is like looking at something through a lightly frosted piece of glass. ​​Who is Qualified to Do Microblading? In Idaho, there are NO laws regulating microblading or permanent makeup. Anyone can do it anywhere with little to no training or experience! Lately there has been an influx of “microblade only artists” in beauty and nail salons. States like Idaho have been targeted by outside instructors who fly in, teach a 2-day class, and then leave. The unsuspecting microbladers are told they are “certified” and begin working on clients thinking they know everything. 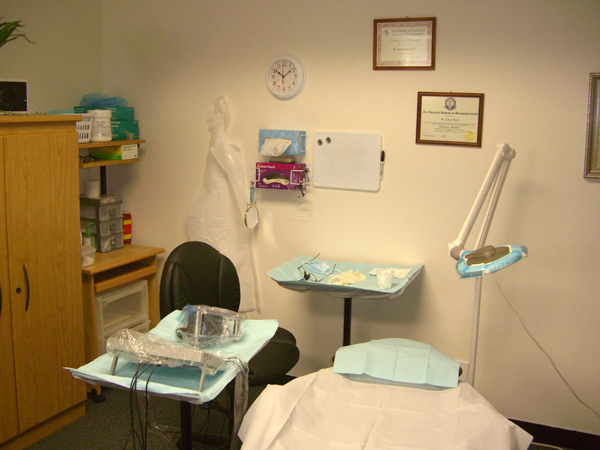 The “one-technique” microblade artist is left without a comprehensive course in fundamental permanent makeup training covering subjects like the science of pigments, color theory, skin anatomy and physiology, pain control, types of equipment, needle configurations, makeup design, facial morphology, and bloodborne pathogen (disease) control. Does the Health Department Inspect Microblading Artists? In Idaho, there are NO health department inspections of microblade artists EVEN WHEN they are in beauty salons or spas. Some salons advertise that clients are safe because they are inspected and licensed by the Board of Cosmetology. That is misleading! Yes, salons are licensed by the Cosmetology Board, but their inspectors check sanitation practices related to cutting hair, manicuring nails, etc. The cosmetology inspectors are NOT trained in, NOR inspecting anything related to microblading, permanent makeup, or bloodborne pathogen control—because that falls under “tattooing” and there are no laws regulating tattooing! As a consumer, it is critical that you know this and do not have a false sense of security based on false claims. Is My Health at Risk with Microblading? Since microblading IS a form of tattooing, a client’s skin is broken exposing the artist to blood. Then you, as the next client, are exposed to the blood of the person who was microbladed before you IF that artist does not sterilize correctly or makes one simple mistake! Artists may be taught a little about bloodborne pathogen control during their short class, or they take an online course to get a certificate. However, there is a LOT to know about preventing disease cross-contamination. Any artist without years of experience or a medical/dental background can easily make errors. As a retired Optometric Physician, Dr. Reed’s infection control knowledge and methods are routine and unsurpassed. Before moving to Idaho, she practiced permanent cosmetics in California and was inspected annually by the Orange County Health Department. Here in Idaho, even though “no one is watching,” she follows the same correct standards! Is Dr. Reed Certified in Microblading? Yes. In addition to being board certified and highly experienced in all aspects of permanent cosmetics and bloodborne pathogen control, she is also certified in microblading. However, it is not her preferred method due to the limitations described above and the potential risk for scarring over time (in her opinion). 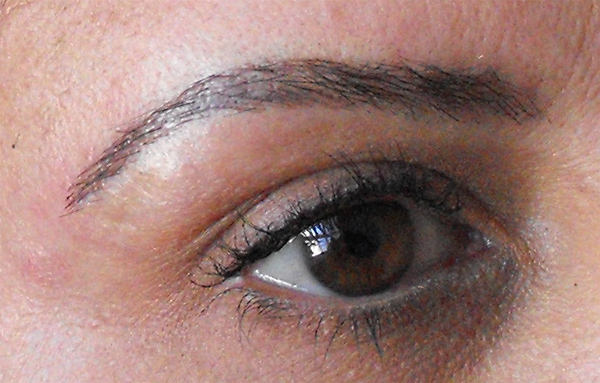 Since 2006, she has been tattooing hair stroke eyebrows with computerized digital machines. Today she uses state-of-the-art needle configurations such as Nano needles to create fine hair strokes that look like they were microbladed (without the drawbacks). She can also create natural looking combination brows or powdered brows and will recommend the best technique based on her client’s skin and desired outcome. Lastly, with the influx of new microblade artists in Idaho, Dr. Reed is seeing an increase in clients seeking her help to remove or repair their eyebrows. She is qualified and experienced in the removal and lightening process of inferior eyebrows done by microblading or any other method.